The following guest post is by Susan Molchan, MD, one of our regular contributors, who has previously worked at the FDA. She tweets as @SusanMolchan. STAT’s coverage (linked above) has explored the influence of patient advocacy groups on FDA decision-making. Credit Dina Rudick/The Boston Globe. 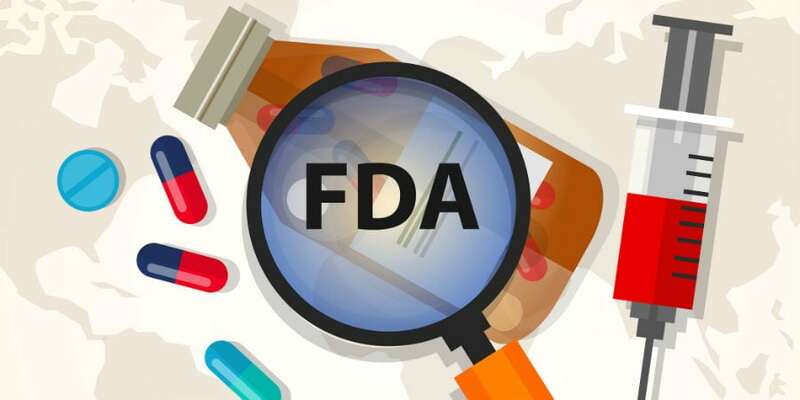 One of the functions of the Food and Drug Administration (FDA) and related agencies around the world is to decide whether drugs work and are safe before they are sold. The law mandating this finally passed Congress in 1962 following the thalidomide tragedy, a safety issue. It started with a baby born with no ears in 1956, to the wife of an employee of the company that manufactured thalidomide. The company continued to ignore and suppress safety information even after an Australian doctor connected the drug directly with birth defects in 1961. Drug companies are among the most profitable of businesses, and the high price of many drugs is worth the alleviation from sickness or symptoms that they bring. But in the years since thalidomide, companies continue to market drugs that haven’t been shown to work, to hide information, and to bribe doctors and health system officials. Approve on the evidence of eight patients? When outcomes are negative? I review this history in answer to the questions: Why have an FDA? Why can’t people take whatever they want to, and companies sell whatever they want to? Journalists need to keep these questions in mind as the story around a controversial new drug, Sarepta Therapeutics’ eteplirsen for Duchenne’s muscular dystrophy (DMD), develops. As happened with other treatments when I worked at the FDA, members of Congress are now putting pressure on FDA officials to approve this new drug. Seeing little boys stumble not long after their first steps, never to run or jump again, is heartbreaking. The disease weakens their hearts and breathing muscles by the time the boys are teenagers, confining them to wheelchairs. Patients typically die in their twenties or thirties. Treatment with corticosteroids delays the loss of walking ability and breathing problems by a couple of years. Although the outlook for these patients is dire, we should not rush a drug to market before it has been adequately tested. To approve a drug on any less than randomized clinical trial evidence does a disservice to those who have the disease and those yet to be born with its causal mutation. The better a drug works, the faster a clinical trial would make this clear. A lot of money is at stake with this drug’s approval. Stir this with heated emotion and it’s not surprising that coverage from some journalists runs from thorough and insightful (for example from veteran drug industry journalist Ed Silverman at STAT) to exhibiting an almost complete misunderstanding of the FDA’s work in evaluating scientific evidence (for example from the Wall Street Journal editorial page). Two pieces from the editors at the Wall Street Journal criticized the FDA bitterly. One noted “the company spent years seeking approval,” although didn’t explain why the company didn’t simply conduct the well-designed study the FDA has advised it to. It could have been long completed. The editors blame the lack of approval on the small number of patients studied, but there are far graver problems with the data. One piece ends with an inaccurate and melodramatic flourish: “It’s a gross failure of government that this could outweigh the alternative: Funerals for the young men who came to Washington this week to beg for a longer shot at life.” Other coverage at the Wall Street Journal also did not go into detail on the problems with the data and covered primarily stock implications of the pending FDA decision. Coverage of the story at the New York Times was exclusively in the business section, reflecting the fact that a drug for this disease would likely be very profitable. One article explored some of the problems with the data, but quoted an expert as saying “the drug definitely works,” as well as a young patient who felt the drug was helping him, and other positive messages. One wonders if an appeal for “substantial evidence” from an FDA official quoted in the story is sufficient to counterbalance these assertions. Some advocates have compared the decision on eteplirsen to that of the fight for the approval of the first drug for AIDS. But the single (and imperfect) trial which formed the basis for approval of azidothymidine (AZT) included almost 300 patients, and found a substantial survival benefit, at least in the short term, for those on the drug. Nothing comparable has been reported in research on eteplirsen. I’m surprised the FDA agreed to evaluate the data collected on eteplirsen, as Sarepta submitted only one tiny study, originally designed as exploratory, which was later contorted into a clinical trial. Only eight boys received the drug as part of the study, and as FDA scientists detailed in their review, it clearly did not show a benefit. 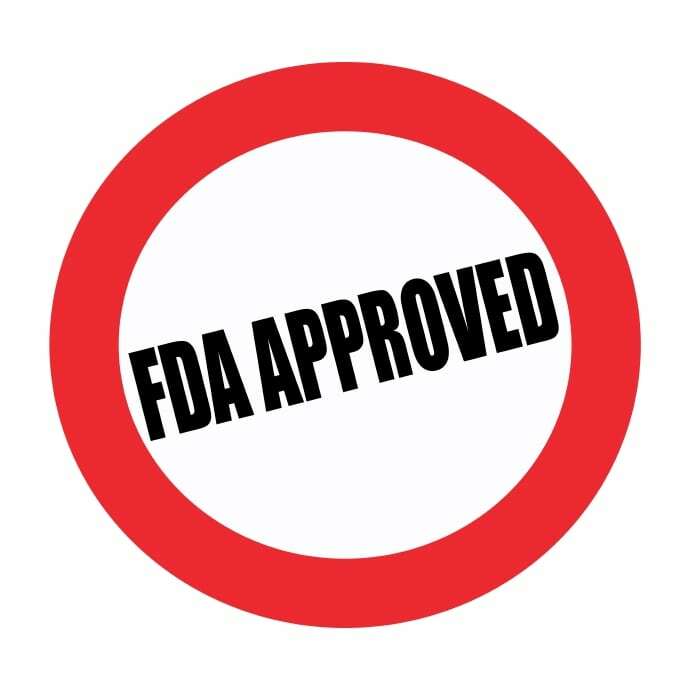 FDA evaluated eteplirsen under an accelerated approval process that allows much leeway. To speed trials, companies can evaluate a drug’s effect on a surrogate or substitute endpoint. This is often a lab test or scan that hopefully indicates that the drug will later show benefits on clinical endpoints –things like longer survival and symptom reduction that patients actually care about. Sarepta analyzed levels of the protein dystrophin from muscle biopsy specimens, as this is the protein that is neither made normally nor in sufficient quantities in DMD. Eteplirsen is designed to help the 13% of DMD patients who have a specific mutation by restoring the way the assembly instructions for dystrophin are read out on RNA. The resulting protein still isn’t completely normal, but the hope is that it would be normal enough and, if made in large enough quantities by muscle cells, be effective at slowing or prevent progression of the disease. It’s a great idea. If the drug worked really well, only dozens of patients would need to be enrolled in a well-designed clinical trial to prove so. 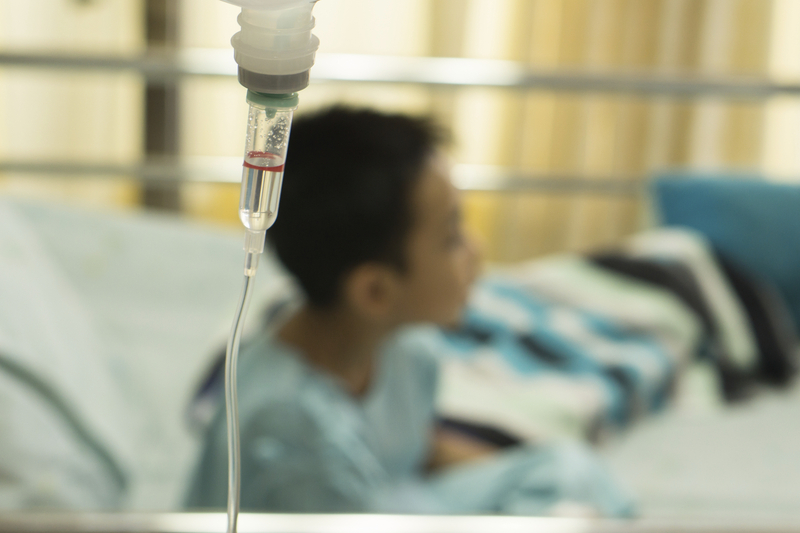 In the study that Sarepta presented to the FDA, dystrophin levels for boys treated with eteplirsen were on average only 0.93% that of normal after 3.5 years. This is about the same as in DMD patients who haven’t been treated with the drug. While it’s unknown how much dystrophin may be needed to produce clinical benefit, experts estimate that levels may need to rise to at least 10% of normal levels. The 0.93% is far below levels found in a milder form of muscular dystrophy, Beckers, where levels are at least 50% of normal. It’s also far below the numbers submitted by the company; the 0.93% came from an independent analysis. The problem is, even if eteplirsen does increase dystrophin levels, that’s no guarantee that it will actually improve outcomes that we care about. The examples of drugs approved based on surrogate endpoints that were later found not to work are legion. A classic one is that of drugs that suppressed irregular heart rhythms. Giving them to patients after a heart attack sounded like a great idea, until a randomized trial found that patients on the drugs died at triple the rate of those on placebo. Sarepta also evaluated its drug’s effects on the 6- Minute-Walking-Test (6MWT), finding no advantage to placebo in the tiny group tested. In an unusual and scientifically questionable move, the company then compared results to patients they selected from registries for the disease. The FDA review found that those receiving eteplirsen had been treated with corticosteroids more intensively than those patients selected from the registries; this may have conferred an advantage on their performance. Exercise and physical therapy positively impact mobility and slow decline, and these too may have been different between the groups. Patients who enroll in trials are likely different from those who don’t, hence the importance of randomization to treatments. Those enrolled in trials for example, may have more hope, motivation, or family support. The 6MWT is itself subject to effort, motivation, expectation bias, and coaching. That’s a problem considering that the patients, their families, and staff knew they were on the drug and that the registry patients were not in a comparable situation. Among additional problems, patients on the drug were given two tries on the test, with the best result entered, while those in the registry had only one try. Still, the 6MWT results on eteplirsen were consistent with what would be expected during the normal course of the disease. We see this happening in the case of eteplirsen. As FDA scientists noted, publicity generated by the company and its consultants in academia tout unprecedented benefits from the drug. This has served to activate many in the DMD community against further placebo-controlled trials. Others have been activated against the FDA, which approves drugs faster than ever, faster than other countries, and with much less supporting evidence than in the past. The FDA has asked Sarepta for additional data on dystrophin from an ongoing study prior to making a decision on the drug’s approval. Sarepta’s stock price jumped on the news. Hopefully FDA will contract to do an independent analysis of the new dystrophin data, given the discrepancies found in data that was previously supplied by the company. The eteplirsen story is brewing into a referendum on the FDA, who some see as a lapdog for the drug industry. If eteplirsen is approved based on the data at hand, presuming the new samples show results similar to the earlier ones, we will indeed be asking, Why have an FDA? So if the Wall Street journal or Forbes or Adam furenstein have a differing view. You just throw out that they are showing a “complete misunderstanding”? Really? Here’s the deal. I’ve been following this drug for years. And you are completely wrong. You are also skipping the entire FDASIA law passed a few years back regarding deadly diseases with small populations. Yet you reference 1962 to uphold your argument. Right now there are 10 kids still walking. A statistical impossibility. There is a phase 3 in motion. The drug is safe. This meets FDASIA. I suggest you do a little more research before casting aspersions regarding who knows what. Mr. Rabbat asks for a reference for the 10% number for dystrophin levels. This information came from reviewing the FDA division’s April document prepared for the advisory committee. Regardless, the dystropin levels reported to date are not different from those seen regularly in the disease. Regarding experts, I learned long ago that many in a field are paid by the drug companies and any reference to them should include such disclosures, as “expert opinions” may not be based on evidence. Regarding Mr. Mitchell’s comments. FDASIA isn’t appropriate to cite here, as neither efficacy nor movement on a relevant biomarker have been demonstrated. Even people with dire disease should have evidence supporting their treatment–this was supported even by a Supreme Ct legal decision decades ago (1979). In answer to an alleged treatment for cancer, Laetrile, Thurgood Marshall affirmed that those suffering from dire diseases also must be protected under the law from drugs that have not been adequately evaluated and found to be safe and effective. “experts estimate that levels may need to rise to at least 10% of normal levels.”, in order to provide fair balance, one should also mention that other experts believe any increase “is resinabmy likely to to cinfer to a clinical benefit.” This includes 38 DMD world experts who sent a letter to FDA stating that. It would also be prudent to provide a citation to the experts you are referring to that estimate 10% of normal would be the minimum.